Following a five-year hiatus, multi-platinum, Massachusetts-bred nu-metal veterans Staind have announced that they will reunite for a few select dates this Autumn. The group’s original members — singer Aaron Lewis, guitarist Mike Mushok, and bassist Johnny April — will be joined by longtime drummer Sal Giancarelli for select shows, including September’s Louder Than Life Festival in Louisville, Kentucky. This doesn’t mean that Lewis is done with his solo country music career, however; the singer’s third country album, State I’m In, is due for release on April 12nd, and he plans to play out in support of it concurrent to all upcoming Staind dates. “I love everything about being a country artist, but it’s going to feel great to get heavy with Staind,” he said in a statement. 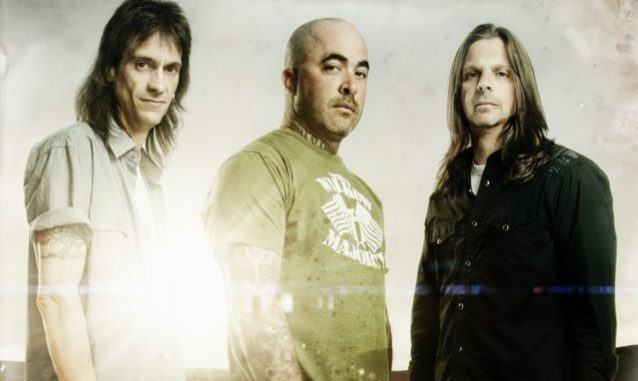 With a career spanning more than two decades, Staind have sold over 15 million records worldwide on the backs of platinum-certified albums including Break The Cycle, Dysfunction, Chapter V and 14 Shades of Grey, and hit singles such as”It’s Been Awhile,” “Fade,” “Price to Play,” “So Far Away” and “Right Here.” The group’s last album, 2011’s Staind, saw a return to the band’s heavier sound and debuted at No. 5 on the Billboard 200 chart. No specific shows other than Louder Than Life have been revealed at this time, but stay tuned for dates and ticket info as they are announced.